First things first. Let’s caremelize that onion. 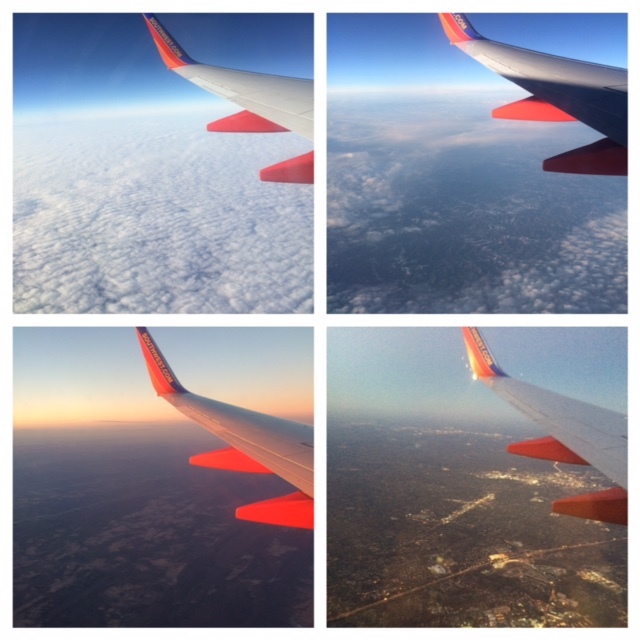 If you are a forward-thinking person and want to caremelize a few now and freeze them for later, good for you. Great time to do so. Heat the large saucepan over medium and add the butter and olive oil. 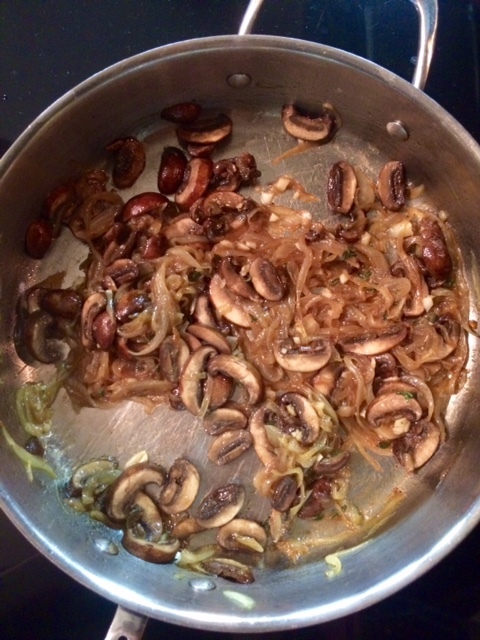 When the butter has melted, add the sliced onion(s) and give them a pinch of salt. Stir around a bit, coating with oil and butter and allowing the salt to help the onions release their sweet oniony juices and begin to breakdown. 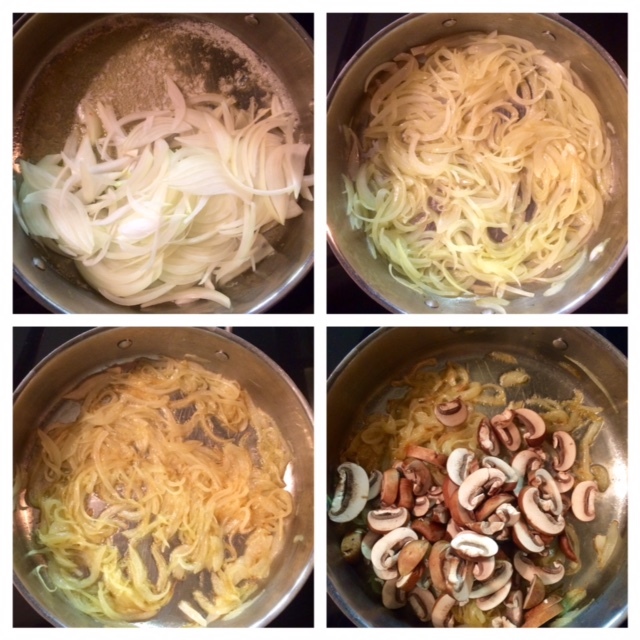 You can go on with the rest of the recipe now, but keep an eye on the onion as it browns. Stir often and don’t be afraid to adjust heat or add more oil. The goal is to have lovely, deep brown onions. All black everything beer can and Wu-Tang jazz? Yes, please. In a saucepan fitted with a lid, bring the stock or water and bullion to a boil. 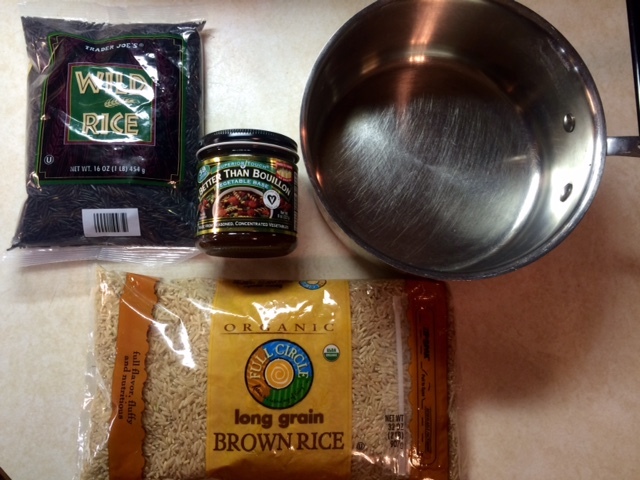 Add the rices (fun fact: wild rice is a grass seed, not a grain) and stir, then cover and simmer on medium-low for 45 minutes. If the rice is done, take it off the heat and fluff with a fork. 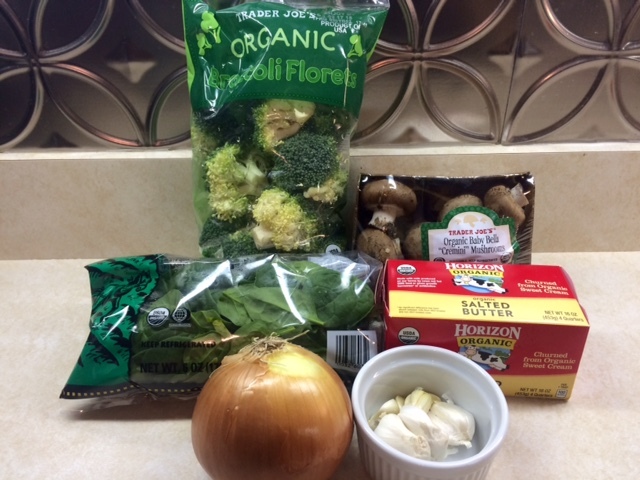 Add the broccoli and spinach leaves to the mushroom and onion skillet along with a tablespoon of water and cover. 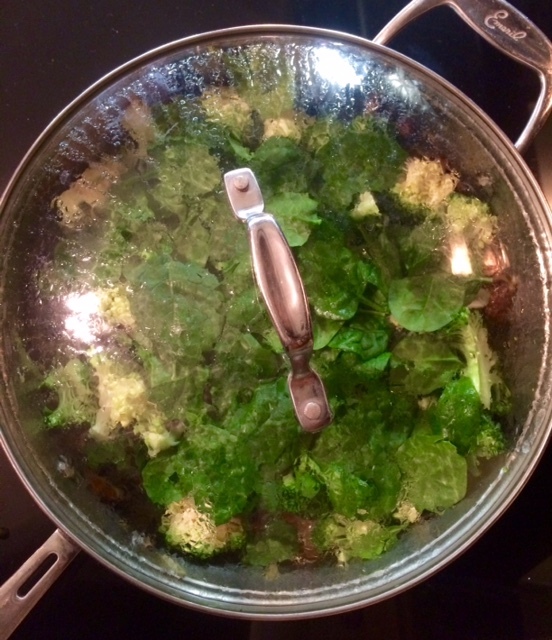 Let this cook until the broccoli is bright green and the spinach has wilted. When the veggies are bright and cooked, stir them all together and taste for seasoning. Now is the time to crack on some pepper- remember you’re seasoning the rice, too, so don’t worry about having a heavy hand. 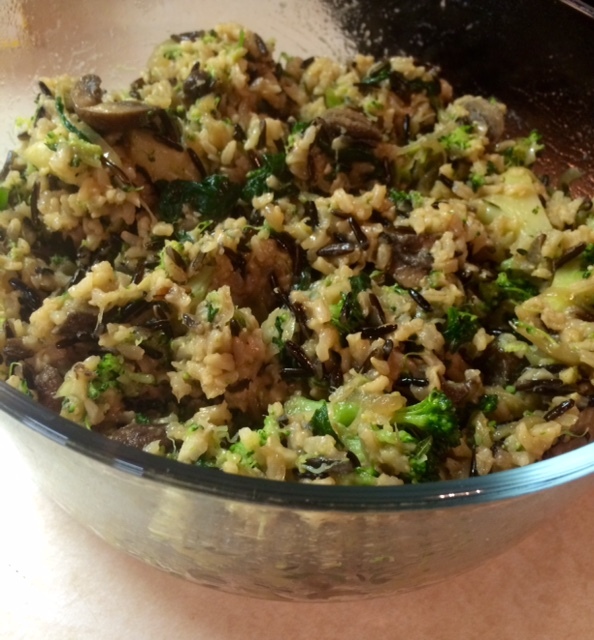 Remove the rice to a large bowl and pour the veggie mixture on top. 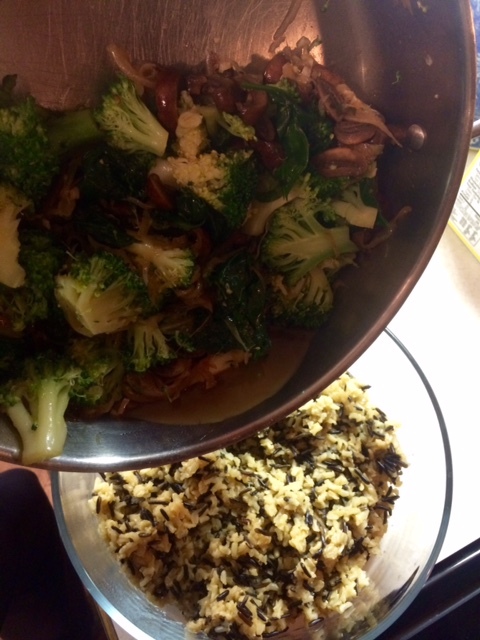 This entry was posted in Classics, Dinner, Easy, Gluten free, Healthy Spin, One Pot, Side Dish, Travel, Vegan, Vegetarian and tagged brown rice with mushrooms, caremelized onions, cremini mushrooms, vegan dinner, vegan rice bowl, vegetarian dinner, vegetarian rice bowl, veggie rice bowl. Bookmark the permalink. Brilliant, beautiful, and multimedia. Thank you, Allez Gourmet, I am humming all the way to the stove. SUCH a good song. You should check out teh soundtrack, you would love! Salsa, second line, and hip hop, oh my.